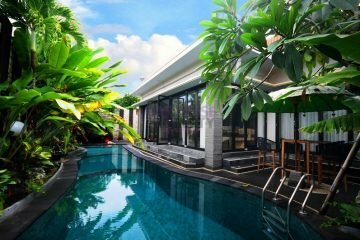 Good quality villa which is has one level building. 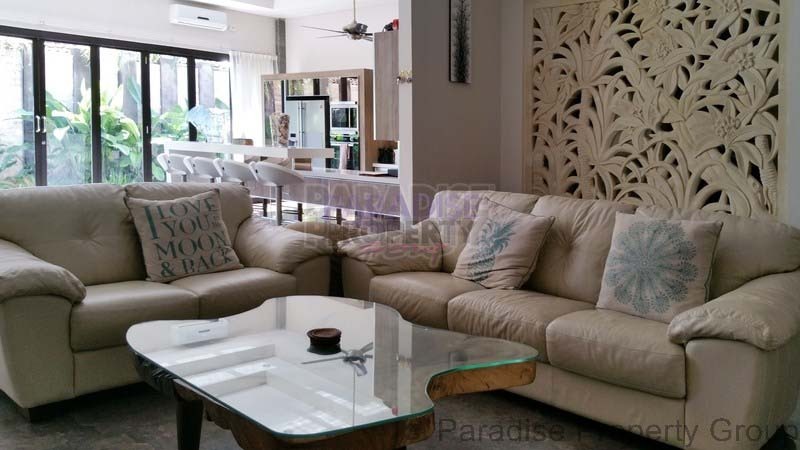 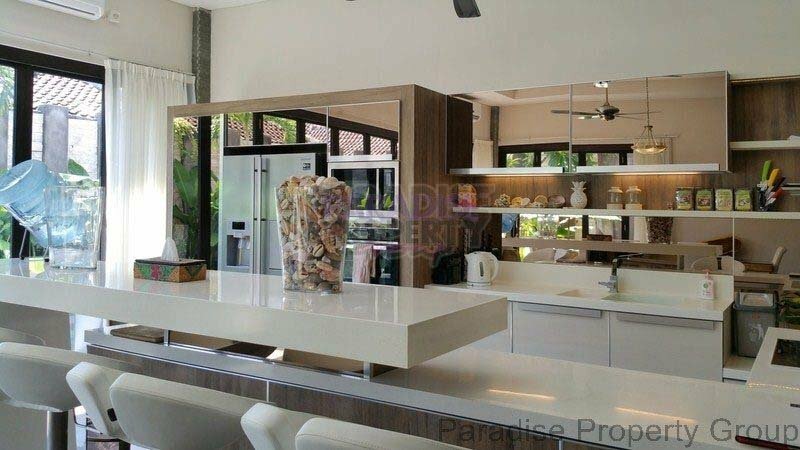 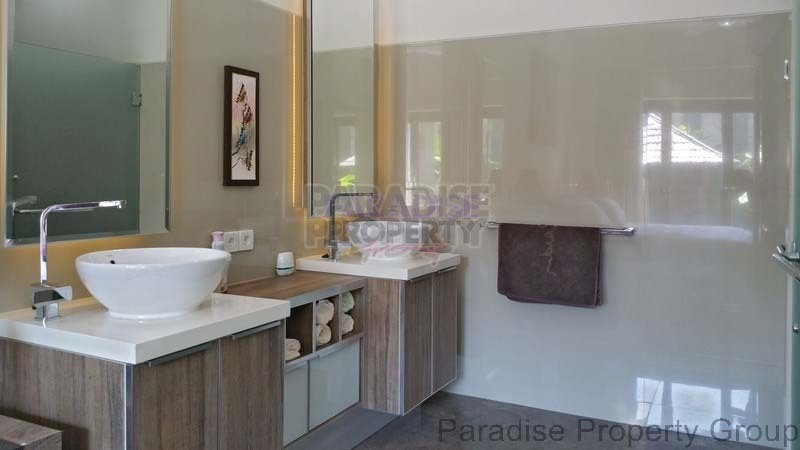 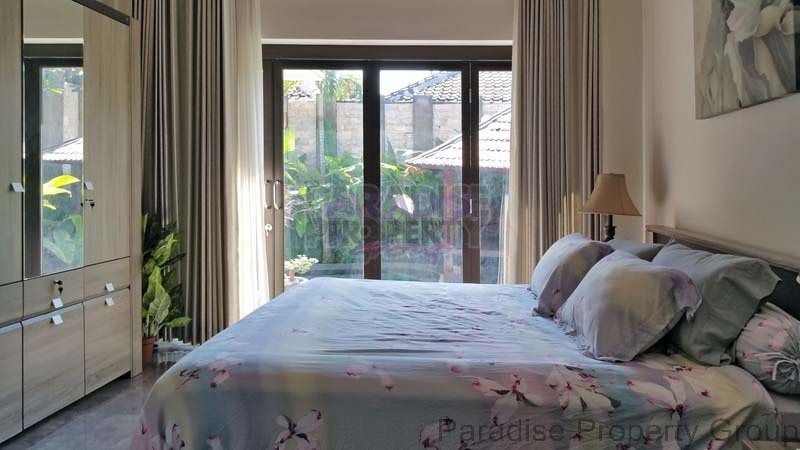 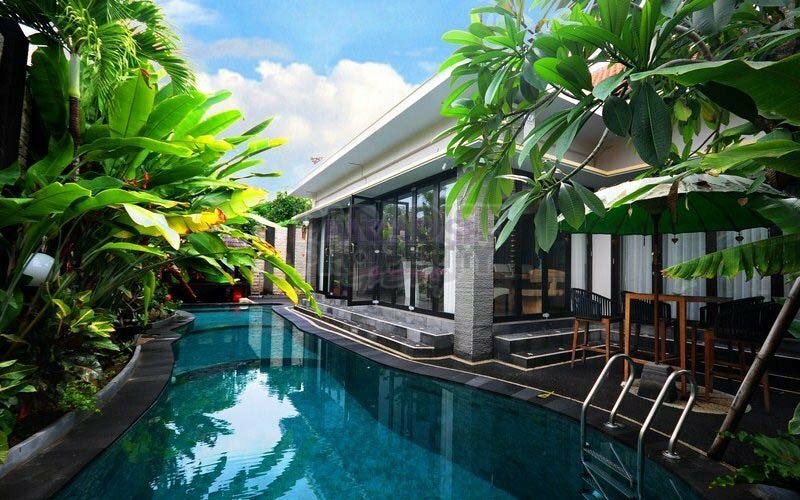 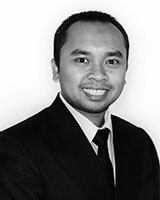 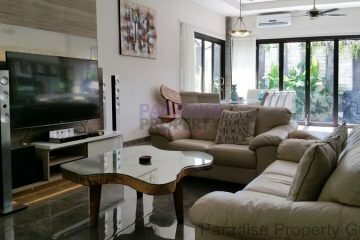 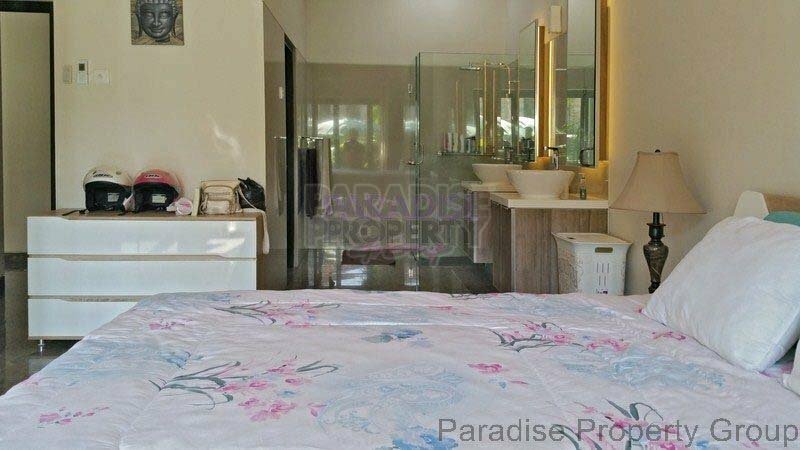 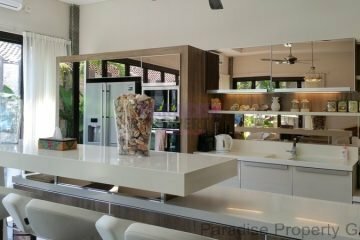 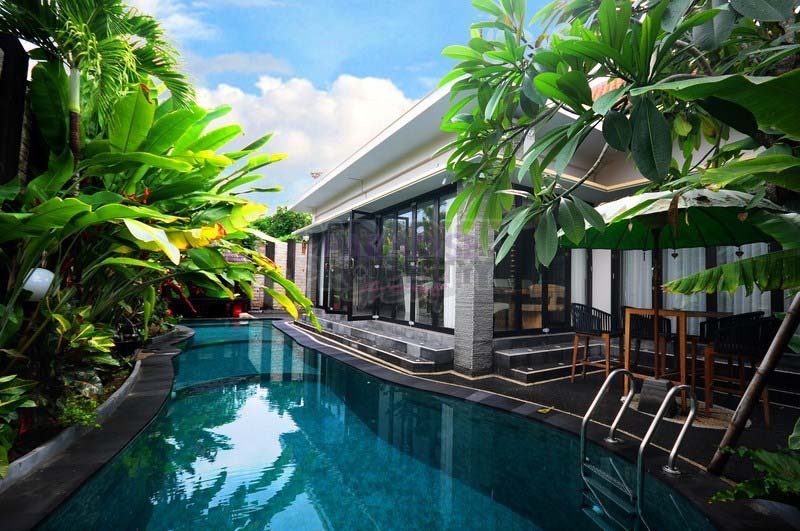 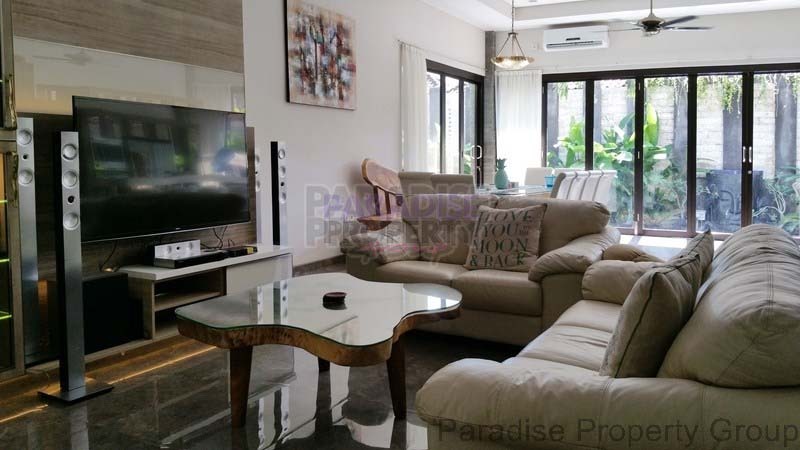 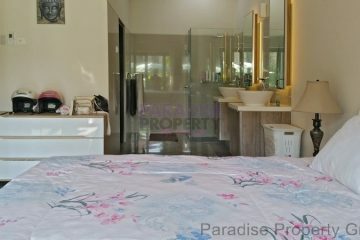 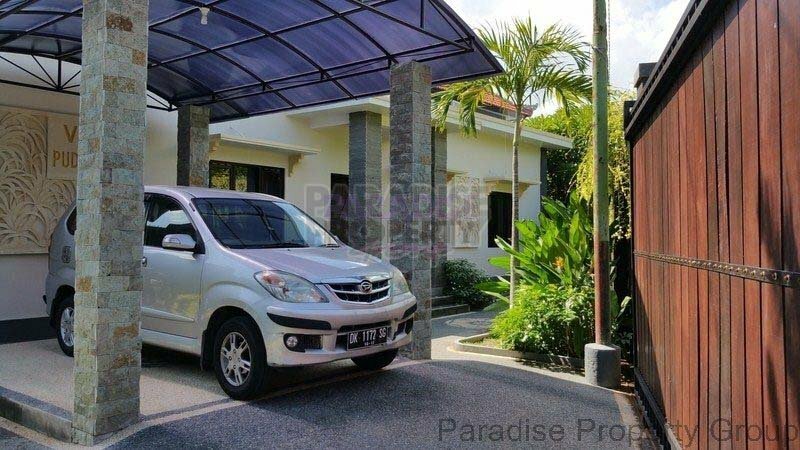 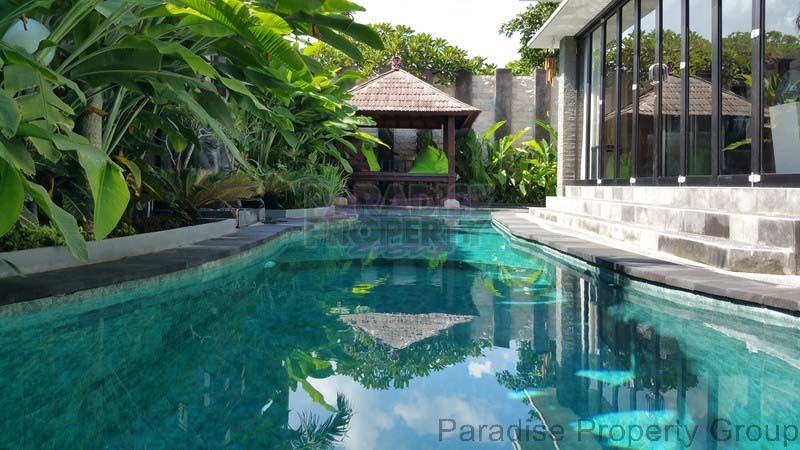 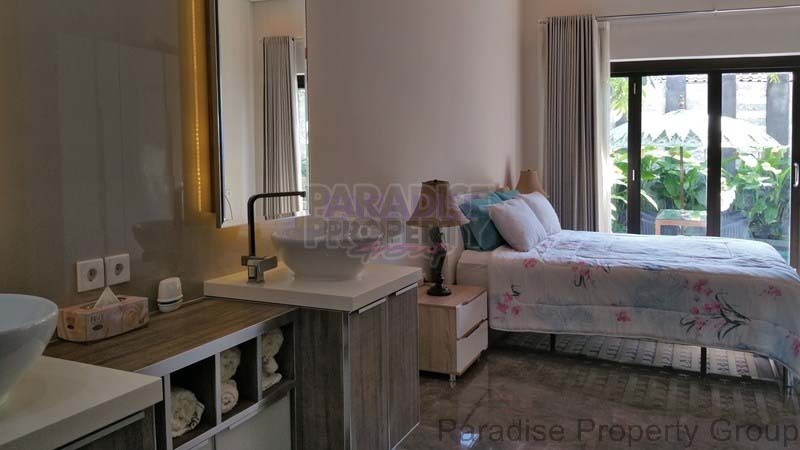 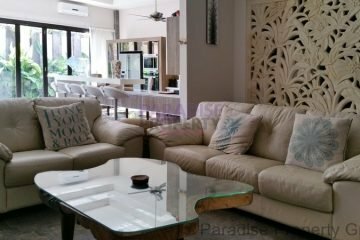 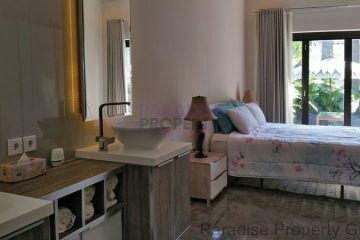 It is located short walking distance to the Jimbaran beach and very ideal for private residence. 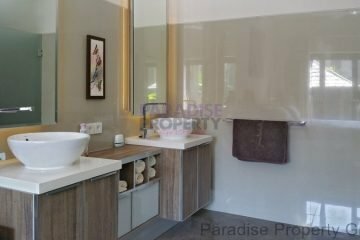 It is situated on 500 M2 of FREEHOLD land and approx 230 M2 of building (major renovation was on 2015). 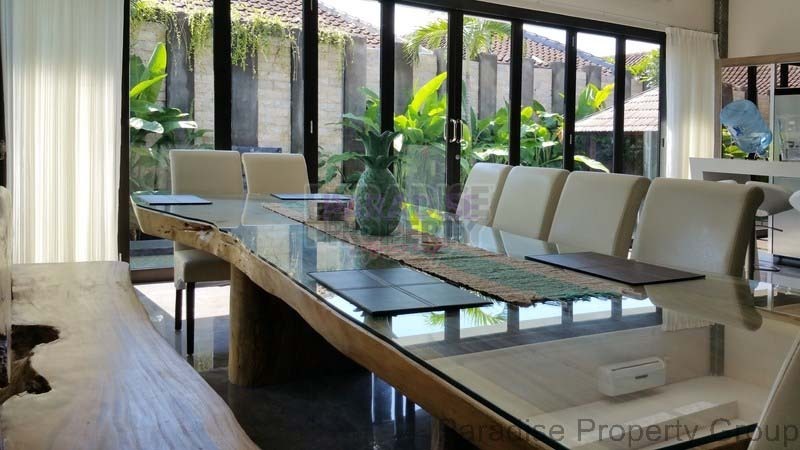 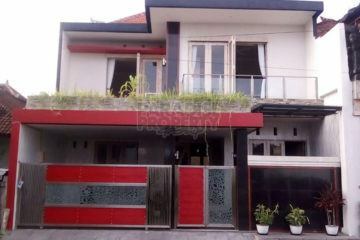 The property offers total 5 bedrooms, 4 bathrooms, enclose living room, dinning room and kitchen. 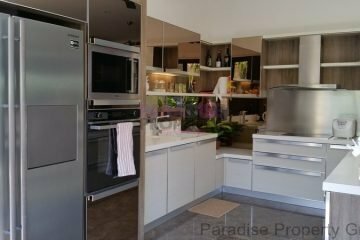 The living room is spacious and cozy feeling, complimented by a fully modern equipped kitchen area, new Modena electric stoves, all the cabinet including the kitchen are made by Metric with good standard quality. 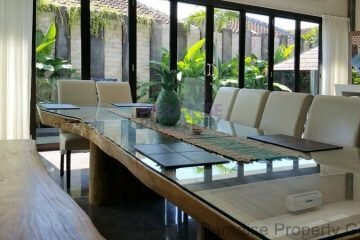 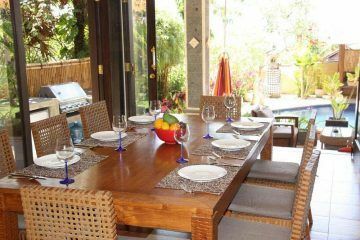 The dining can be indoor with nice modern solid teak wood table or could be outdoor under the sun umbrella of the terrace. 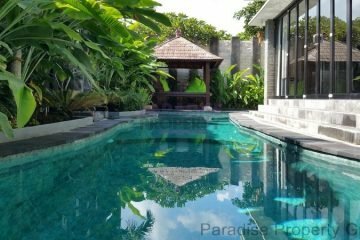 The pool is 14 x 4 dimension with salt and contemporary shape, it is surrounded by lots of tropical plants, flowers and gazebo. 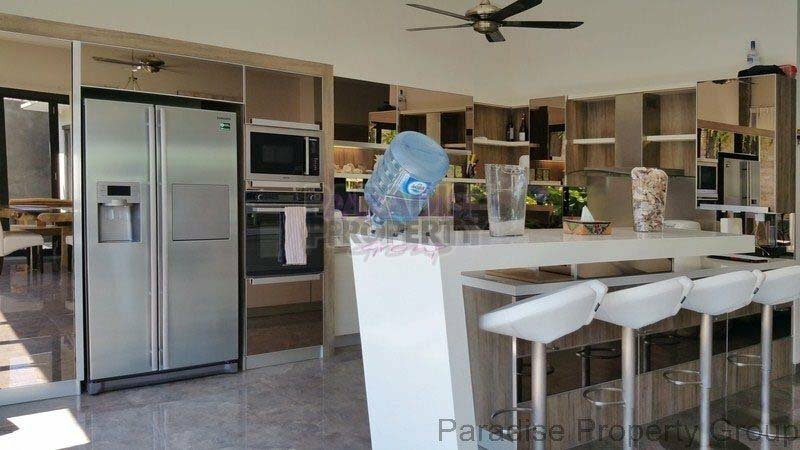 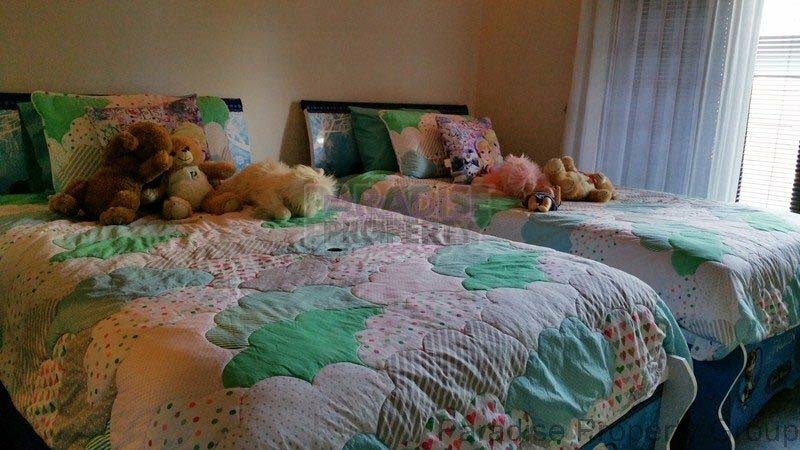 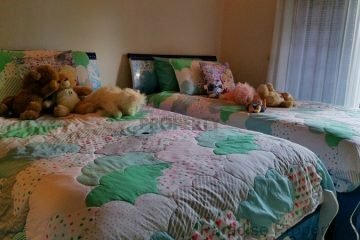 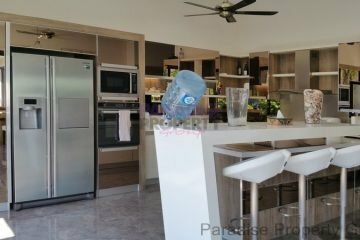 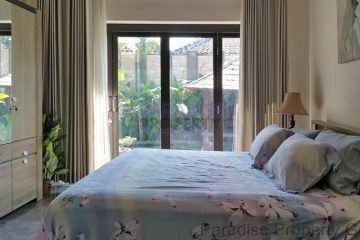 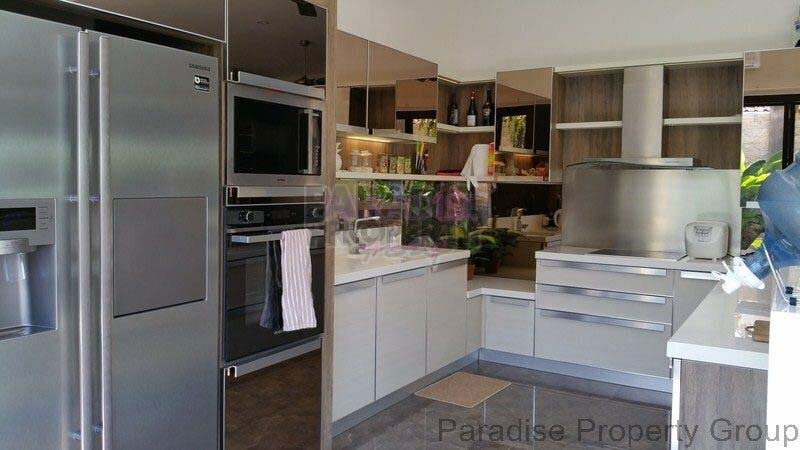 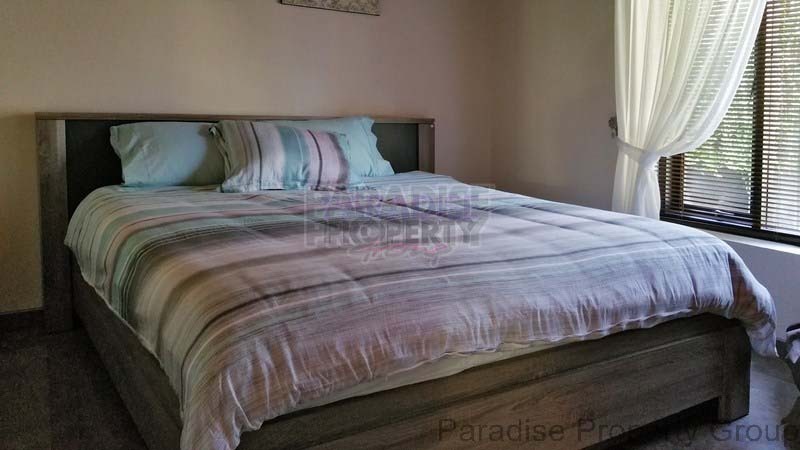 The property has, powder room, split Air cons, garage, paved access, 2 electricity lines (13,200 W and 4,400 W), Drilled well water source and SELL FULLY FURNISHED.